Experiment with a nasal saline spray. A nasal saline is just salt water that helps to fight against worsening of allergies during pregnancies. Besides, they are not harmful to the fetus. Spray the nasal saline spray into the nostrils and blow your nose after a minute. Use nasal irrigation with the help of a neti pot. Nasal irrigation helps to flush all the sinus passages out with the help of salt water. 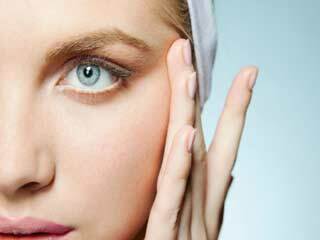 Fill the neti pot with a warm salt water solution and flush each nostril out with it. Using a humidifier at night to fill the air with moisture helps to relived pressure and pain that is associated with the allergies. Use a medicated nasal spray to experience the best results. Medicated nasal sprays help especially when you start using them before the actual onset of the allergies. Consult your doctor about nasal sprays before using one to ensure that the use of one does not hamper the fetus. Allergy medication is a good option provided the other options fail though this option must be avoided during the first trimester. Consult your doctor to find an allergy medication that will work for you during the second and third trimester. If you had been using allergy shots before pregnancy, you can continue using them during pregnancy. It is, however, not recommended to start allergy shots after getting pregnant. 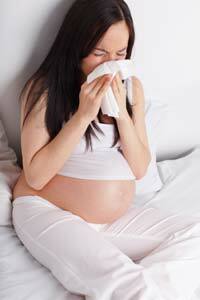 The key to coping with allergies during pregnancy is taking proper medications. Ensure that you talk to your doctor about medication during pregnancy.